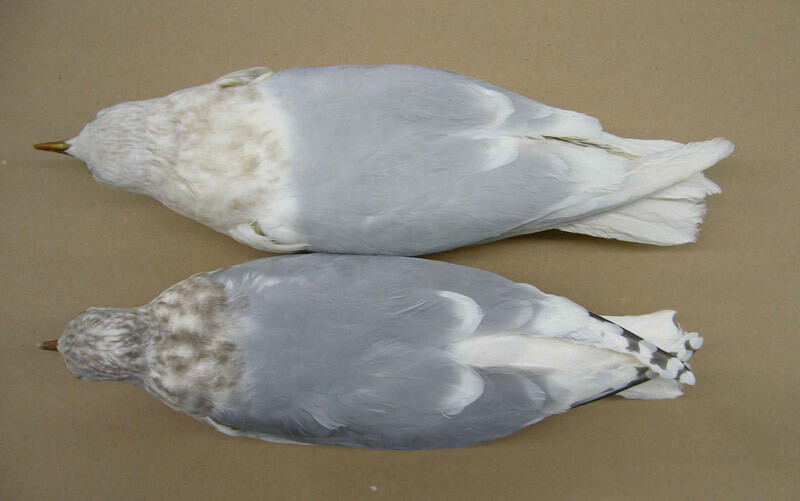 Nominate female Iceland Gull (top) and female Kumlien's Gull (below). The nominate glaucoides was collected on 28 November 1974 in Ottawa, Ontario. Identified by W. Earl Godfrey, Curator of Birds at the Canadian Museum of Nature and author of The Birds of Canada (1986). Photo by Michel Gosselin. 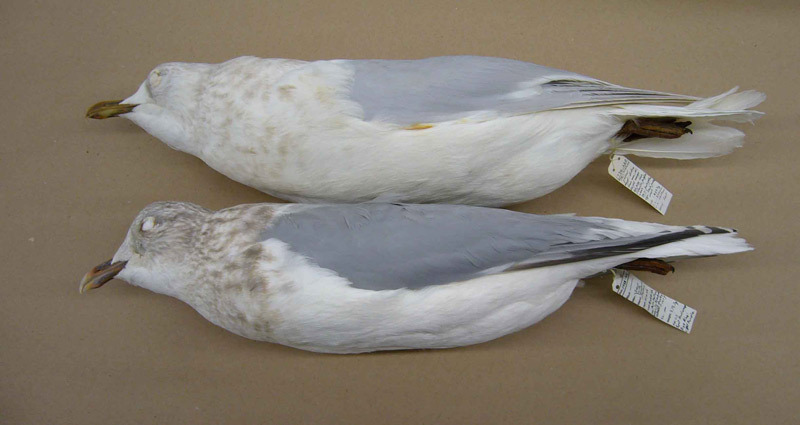 Nominate glaucoides (top). Note pure white unmarked wingtips and paler Glaucous-like mantle compared to a kumlieni below. Specimens CMNAV 61985 (glaucoides) and CMNAV 78738 (kumlieni) in the Canadian Museum of Nature. Photo by Michel Gosselin.